This is the first in a series of tips, tricks, and reminders for patent practitioners. 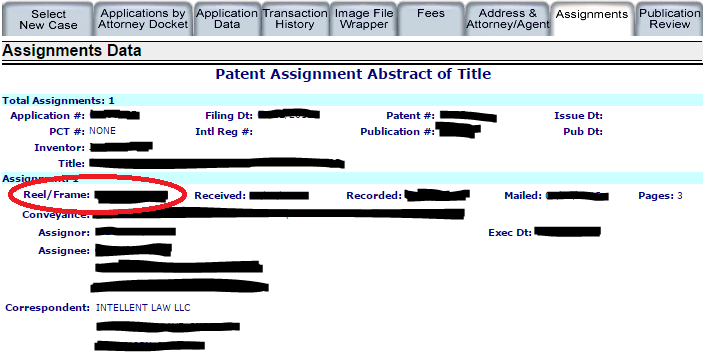 After filing a power of attorney for a specific application, I received a notice stating that I also needed to file a statement under 3.73(c). For an assigned application, the statement must include the reel and frame number where the assignment was recorded. I found out from phoning the USPTO that I would have to pay $150 to obtain the reel and frame number of a particular application. This didn’t seem right. Actually, in Private Pair there is an “Assignments” tab, which includes the reel and frame information of an assignment. This may be a small tip, but it could save you $150.